One day tours to national parks and other protected areas, surf lessons, scuba diving, boat trips, sailing or catamaran trips at sunset, tours to the estuary, turtle nesting (duringseason), canopies, rafting and horseback riding.Other outdoor activities available on your own right in front of the hotel:Swimming, surfing, sea kayaking, snorkeling, beach volleyball, pool table, table tennis, badminton, boccia. Also, a beautiful 18 hole golf course is just 20 minutes by car fromthe hotel. 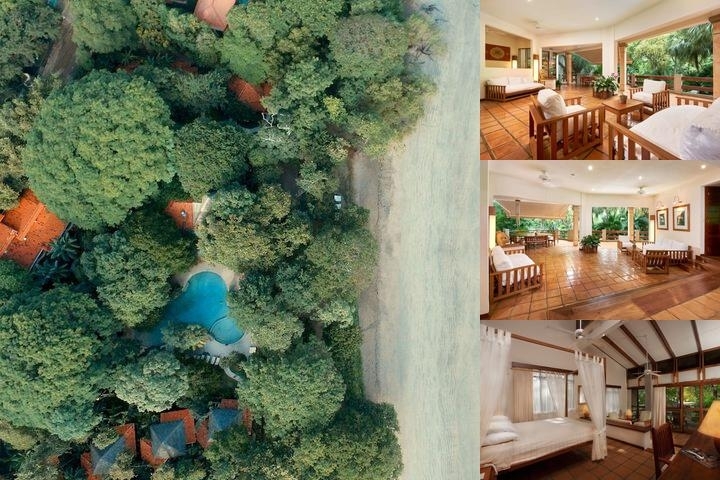 Located in a privileged area outside of town, at the end of the bay and directly on thebeach of Tamarindo, Capitán Suizo rests on one of the most popular and beautifulswimming beaches of the pacific coast in Costa Rica. The bay offers warm waters allyear around. Adjacent to Las Baulas Marine National Park, it offers many activities to dowhile keeping a charming ambience.Tamarindo is located 4 ½ hours by car or 50 minutes by air from San José InternationalAirport and it is one hour by car from the Liberia International Airport. The hotel is just afew minutes' walk from town. Out of respect and sympathy towards the culture, the traditions and the character of this country, (which succeeded to place 25% of its total area into conservation), it was only natural from the very beginning for Capitán Suizo to integrate the nature and animals with love and respect. Since February 2011, the hotel has been certified with the Certification for Sustainable Tourism (CST), in 2013 the hotel achieved 5 leaves, the highest possible level As part of this project the hotel supports a nonprofit organization which works towards the improvement of national parks. We also participate in a project for reforestation, conduct responsible disposal of garbage, produce and use only organic fertilizer, carry out environmental information in schools, provide financial and in-kind support to various local committees and signed the Code of Conduct for the protection of children and young people from commercial sexual exploitation in Costa Rica. Outdoor pool, open 24 hours.